"Huge dent and falling off bumper? No problem. 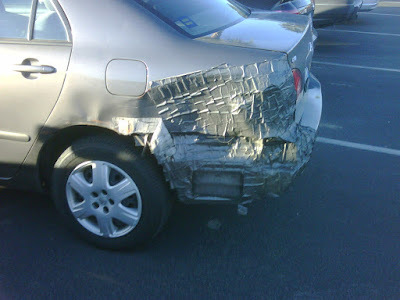 A few rolls of duck tape and were all good as new..."